A quick break from our Uzbekistan series for a very short run down of a switched off weekend away. When you spend 5 of the 7 days of the week at work and spend your spare time planning your next exciting adventure you can burn out pretty quickly. With our two year wedding anniversary looming we decided a switched off weekend was needed. 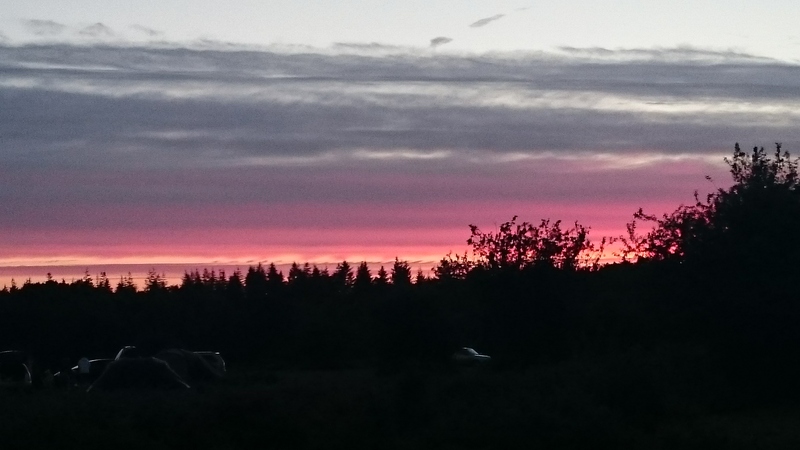 Living in West Sussex, UK we are located very close to some wonderful National parks, the South Downs and the New Forest to name a couple. The New Forest has great road transport links with where we work so after a 2 hour drive on a Friday evening we arrived. 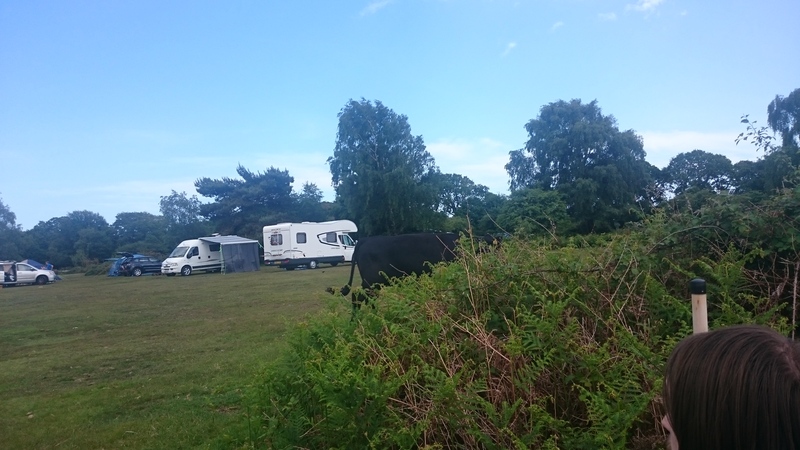 We picked the Roundhill Campsite as it was a pitch anywhere site with a toilet block and amenities. It was a very windy evening so we got the tent pitched quickly and I set up the cooker to fry some burgers for dinner. The sun was getting lower so we decided to get our air bed pumped up – only to find 20 minutes later that we had no plug so no way of keeping the air in! It was too late and too much wine had been consumed to do anything about it that evening so we had a very cold night on the floor ahead of us! Still a beautiful sunset helped soften the blow. Morning broke and we started the day with sausages and scrambled egg. We needed to find a new air bed as we did not want to repeat that night! We jumped in the car and headed to the closest town, Lyndhurst. A quaint little town which screamed English holiday town with gift shops and cafes galore. It was nice and sunny so we had a wander around the shops (bought a new air bed) and headed to a local cafe for some Waffles!! It was a sweet little cafe (which I am struggling to remember the name of and cannot find it anywhere) which seemed to specialise in waffles. 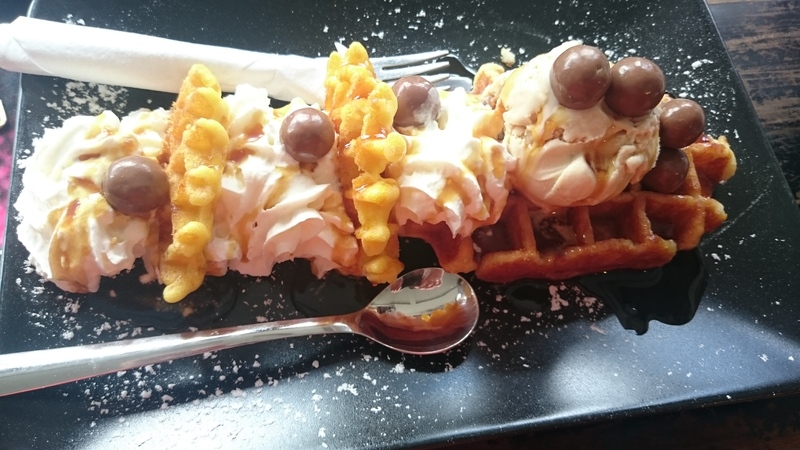 Being lovers of waffles since of trip to Bruge in 2014 whenever we can get them we do. 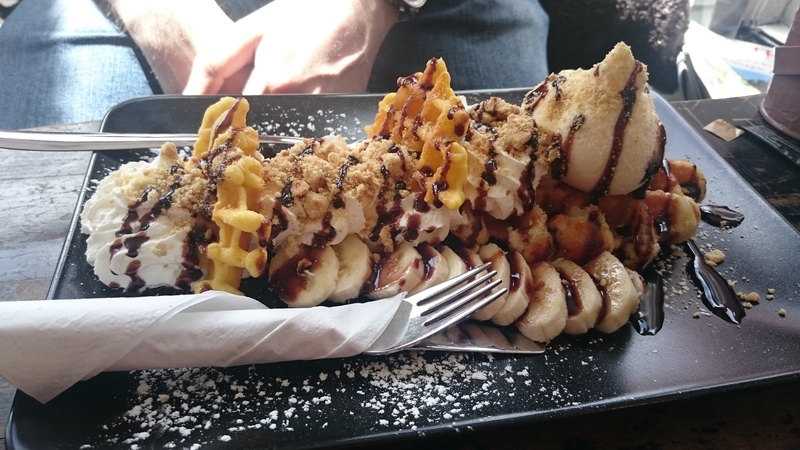 I chose the Apple Strudel waffle and Stuart chose the Banoffee waffle. They were pretty delicious if not slightly too sweet! Washed down with some tea and coffee we headed back to the campsite to do absolutely nothing – which is exactly what we did!! We set up our chairs in the sunshine with a book and a G&T. It was a blissful afternoon just chilling. The only disruptions were the roaming horses and cows. 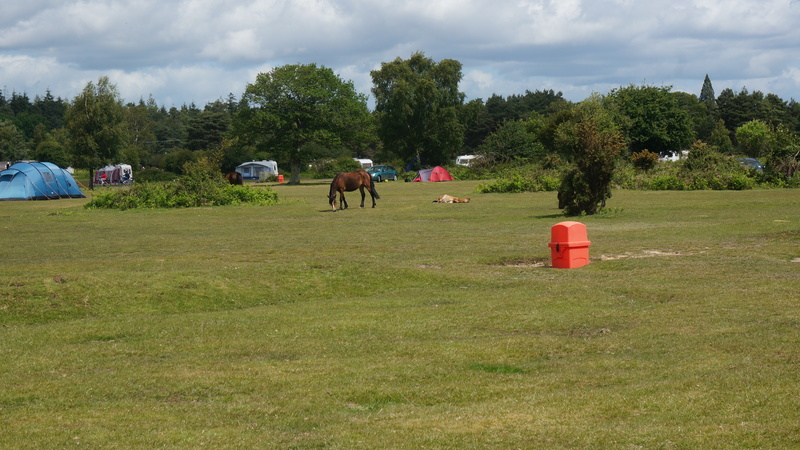 The New Forest is commoners land so certain people are allowed let their animals (mainly horses and cows) roam freely. There are cattle grids going in and out to try and keep them in one area but they are pretty much allowed anywhere, which is always amusing when you are camping and then a pony lies down for a nap 20 feet away from you! 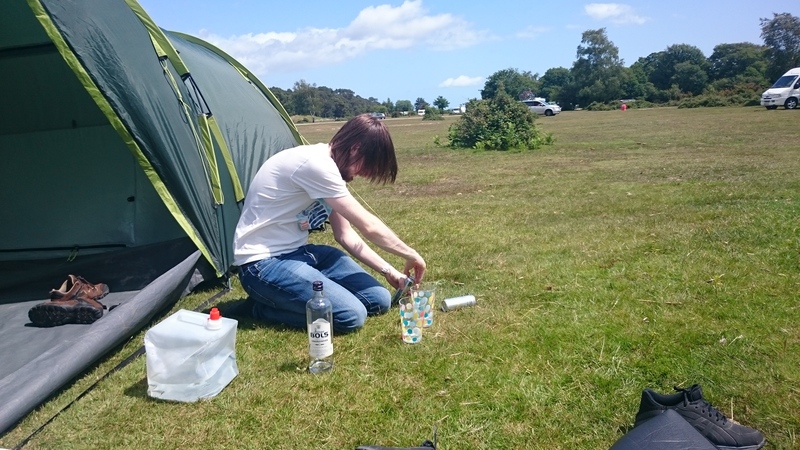 It was a very peaceful weekend (apart from the air bed incident) and I did get rather sun burnt. A nice way to celebrate 2 years of married life! If anyone does visit Lyndhurst and see’s the waffle shop (opposite The Lyndhurst Tea house) then please let me know the name! !